Acts: The Revolution… Starts on Sunday. But always there are those moments in between…when we remember what’s really important. 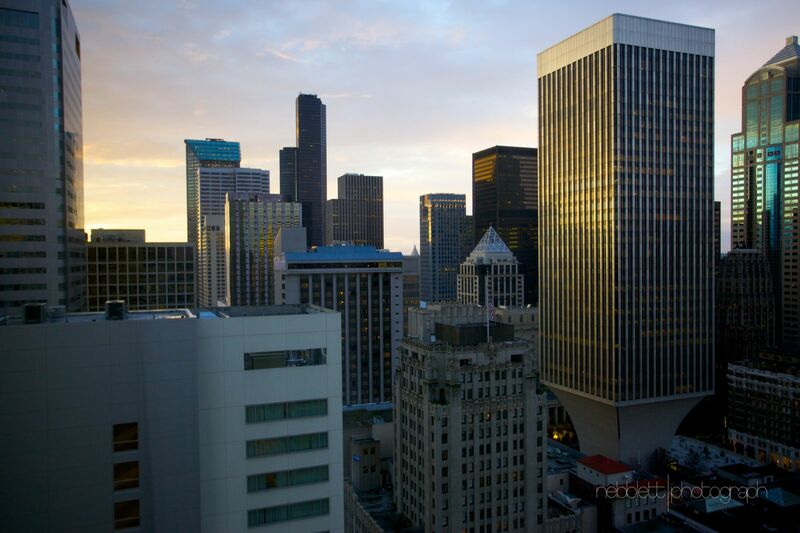 Seattle skyline as seen from the hotel that will be hosting GYC. And not just because GYC 2012 is going to be all about the book of Acts. Because we want to enter in to the life of Acts. Since after all, the book is still being written. Three verses a day isn’t really that many, but only the absolutely determined will actually pull it off. And it will take more than 10 minutes a day. But what if it changed your life forever? You don’t think you can. 1: Subscribe to our memorization and review schedules with any calendar application (iCal, iPhone/pad/pod, Android, Google Calendar, Outlook, etc) using the subscription links below. 2: Just a suggestion… Get yourself an audio bible so you can listen at least an hour a day… to the chapter you’re working on, plus ahead and behind. 3: Let us know you’re with us! p.s. If you can’t keep up the pace, or if you’re reading this post late and we’ve already started, no worries! Take it at your own pace, or jump in in the middle… So what if you only have half the book memorized by December! You’ll never be sorry. Go get yourself an audio bible from a place like this. Or, listen to it streamed on demand, here. Or, download an audiobible app for your iDevice here. Oh Sean…this couldn't have come at a better time. What a neat idea! With God's help and by His grace you can count me in. 🙂 I'm excited to see what the Lord will teach all of us through this project. Thanks for extending this offer to others. Whew! The girls are game… I don't know if I can do three verses a day and remember it. My brain is a little old… ha! Maybe if I was teaching James to memorize it I would at least have a half a chance. Hmmmm have to think about this. Thanks for putting the challenge out there. Go for it! 🙂 This is going to be great! Sean – thank you! I'm definitely in and excited about the possibilities – it is encouraging for me that a unity in mission, goal and purpose exists among so many young people around the world. We are nearing home… together. Hey Sean – wow! That is a bit of a challenge. Is there some way to do this with Google calendar instead of outlook, though? God bless ya! Thanks for putting the challenge out there. It's a great idea! Exciting for us! Our little dream has almost tripled in size… 🙂 the possibilities are endless. I'm in, and all for it!!! Thankfully I have an MP3 player now so I can listen when I'm even going on trips. K good. And it worked? 🙂 Do you suggest KJV versus NKJV? Perfect timing. I just finished Revelation in about seven months. Not quite as intense. I'm up for the challenge. In His strength we CAN do it! I am going to join you, and I am going to tell other people about the challenge so that they can join us too! I love memorising scripture, but it will be much more fun doing it with other people! Honestly, when I first read this last night my initial reaction was NO way, it's just too extreme. Even now in my head I have a long list of very good, logical reasons why I shouldn't attempt this. Over and over today I've asked myself these questions and a host of others… and it amazes me what a struggle it was to actually make the decision, but, on this leap year, I've taken the leap–and regardless if I make it through chapter 1 or chapter 28 by Dec., already I sense God's blessing on this, because I firmly believe that when we say yes to anything that will pull us deeper into His kingdom, He blesses our efforts, however feeble they may be. So thank you. Although I haven't even started memorizing, already God has done some serious heart-work in me through your challenge. Hmmm, wow! What a big challenge. December is an eternity away! This will definitely test my self-discipline! Looking forward to doing it! Hah. Read this last night, and thought. Nope. Half the things I've already committed to are hopelessly falling through the cracks, I'm not going to commit to one more thing that will just end up in the "unfinished project" bin. Uhm…alrighty then! Point taken, Lord! I'm here to commit! Let the hundred other "important things" suffer if need be. A good GPA isn't going to soothe a scripture-hungry heart. You've hit the nail on the head, Sara. This is heart work… Perhaps you'll be comforted to know we're just as nervous as you are. 😀 But we're also incredibly excited. How far or how fast doesn't matter nearly so much as letting the creative Word do what it does so well. Recreate. Praise the Lord, Beth! I love the way God works. Thanks for telling me about it, Bek! I'm going to see if I can convince some of my friends to join in too! Yes, praise God! What a wonderful story! 🙂 Love that bit about a good GPA not satisfying a 'Scripture-hungry heart.' That's how I want to view things! I got the same error… robots.txt prevents it from crawling the url. Any chance you can export it so that we can somehow download it and import it as a file? Or maybe you can think of a better option? K. My apologies, ladies. 🙂 I've set up a Google Calendar with the same info, and have added Google subscription links to the post above which are guaranteed to work. You can also see the calendar on its own tab on either of our blogs. I'd like to try! However, I'm having a bit of trouble with the calendars. I've never used Google Calendar before, but I followed your instructions in the reply comment to Michelle on how to import them to Gooogle calendar, and both are showing in my list of "other calendars", but I can't figure out how to actually see them. Any suggestions? Thanks! We're game for that!!! We'll be starting today. It's a big challenge but hey we need these kinds of challenges to stretch our minds and make us more familiar with the scriptures. God will help is and I'm exited to see what we'll learn. Onward christian soldiers marching as to war…with the word of Jesus going on before!!! This is definitely a metanl stretch. I started memorizing about 6 months ago, I think, and I've added 100 verses so far and have been _greatly_ blessed by it. I've seen improved mental capability and, of course, having God's word in my mind has proven a blessing, over and over, through trials and difficulties. Adding 1000 verses this year is an exponential jump. It's one of those things, though – Would I actually _regret_ doing it? No. And, worst case scenario, if I _only_ memorized half.. Would that be a loss? Not at all. Also, I noticed something interesting in the comments and commitments. Where are the men? I am _very_ excited to see all of the commitments from our sisters and I am just surprised to see so few of our brothers responding. I'm hoping they're just being silent and will chime in here shortly. Thanks for the challenge Sean! I find it more profitable to study with a community of faith, with like minds passionately seeking the same purpose. May we encourage each other, learn from one another, pray for the other, and hold ourselves accountable, as we grow in the faith, grace, and knowledge of Jesus Christ, every day in the pursuit of holiness! I read this post the first day and wished I was brave enough to give it a try, but since I'm pretty much only home to sleep and on the streets so much I told myself it wasn't possible. Then tonight as I was at my prayer partner's house I told her about what everyone else is doing and she asked if she could join me. Somehow we have decided to do our best. And like so many have said, our goal is the whole book, but if we don't get the whole book than I know that I will be blessed by what I do. Here I come. Lagging behind a bit, but I just now heard about it. I'll give it my best. This is quite the challenge, but you can count me in as well 🙂 Hopefully I can catch up to where you guys are soon since I just found out about it today! You can count me in to. Just thought I should let you know. I would love to be a part of this challenge! I just learned about this, so I'll have a bit to catch up on. Thanks! We've never met, but after reading this challenge on a friend's Facebook I'm made (even more) excited for GYC 2012 and thrilled to get it started sooner with this inspired idea for radical Scripture memorization – count me in!